It’s almost Monkey’s Birthday, Michael wrote the most important exams of his career, Auntie “Isabet” is visiting and I have one week left of maternity leave (4 days to be exact), and that means it’s the perfect time for an adventure! Knowing that we had all this excitement surrounding the week ahead we decided to take a little day trip to the Telus World Of Science in Edmonton. One of the great advantages of living in Central Alberta is that Edmonton and Calgary are easy destinations for day and weekend trips. You have the feeling of being so far away and can experience so many new things in a short hour or two drive. 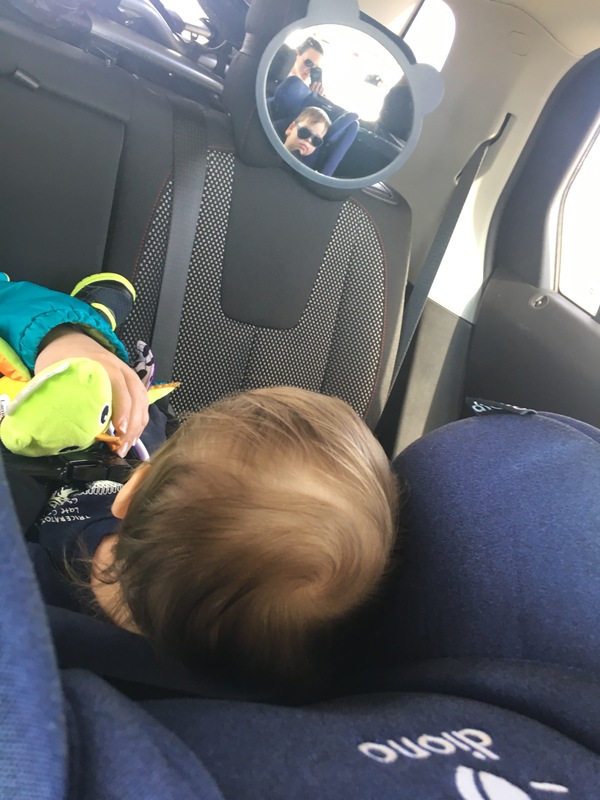 This weekend’s trip was an even shorter one where we traveled to Edmonton during Monkey’s morning nap, played during his play time and drove home during his afternoon nap. Before looking into our trip there I didn’t expect there to be much for Monkey to enjoy or do because he’s so small. 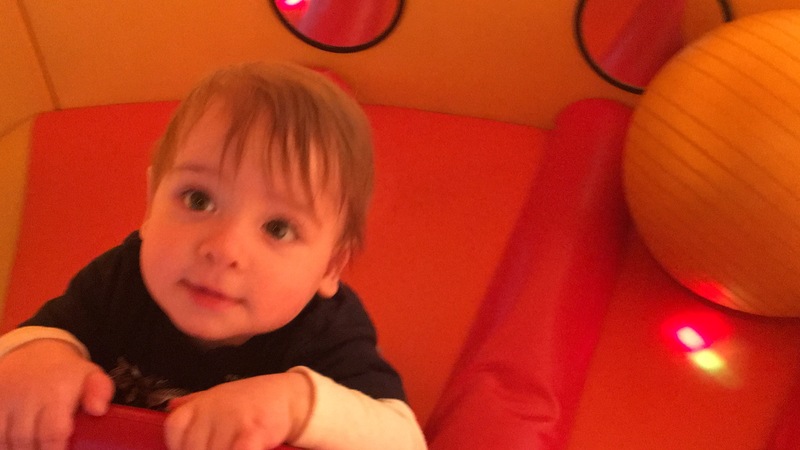 I looked anyway because I hoped a new environment, even though a little mature for him would be fun and stimulating for him hanging out in his stroller. Well was I ever wrong! 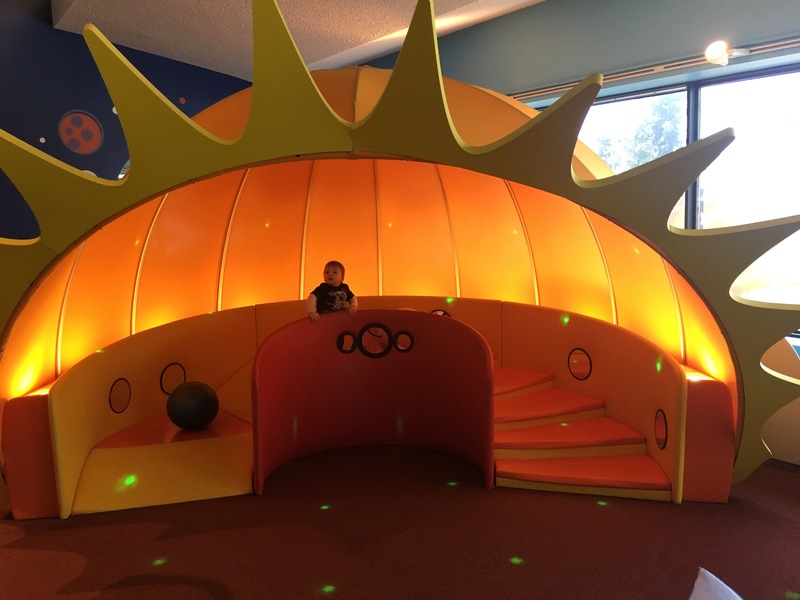 Not only are games and activities for all ages scattered throughout the science centre there is a play area that caters specifically to children ages 0-8! When I read this there was no way we were heading back to work without going. We arrived on the first Saturday of Spring Break at about 9:30am this was a perfect time! All the locals are still getting ready to head out I think because no one was there, but soon after… like by the time we took the elevator up to the second floor they were lined up out the door. If I had seen that line I would have changed plans and we would have gone to West Ed to wander instead. When we got upstairs we found all these fun experiences that demonstrated magnetism, optics, sound, mathematics and most importantly ELECTRICITY. But then the sillies set in and it was time for lunch, a trip to the gift shop and a nap on the ride home. 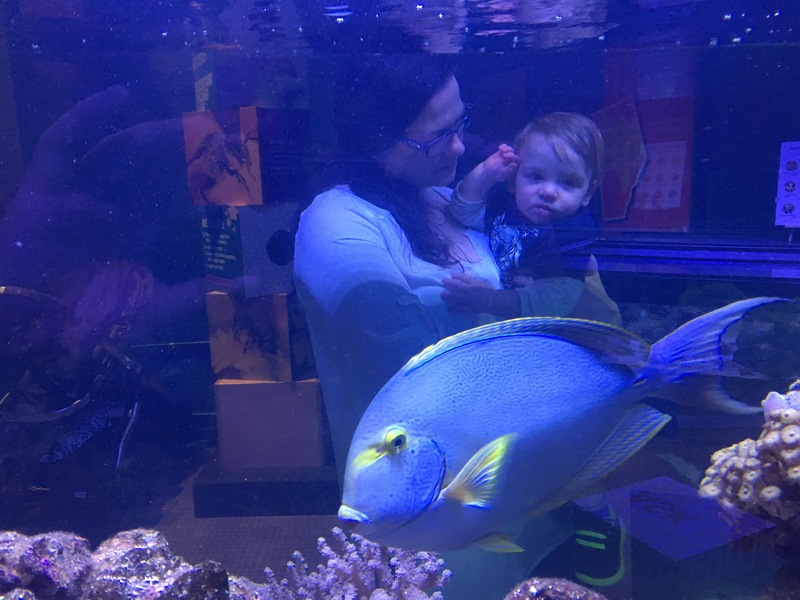 I think this was a great way to start off my last week of maternity leave, and I’m sure we will be back again soon to visit all the exhibits we didn’t see today. If not for the fun times but for the easiest bedtime ever… 6:30 and out like a light. Good night Monkeys everywhere. What are some special ways you spent the end of your maternity leaves with your little?